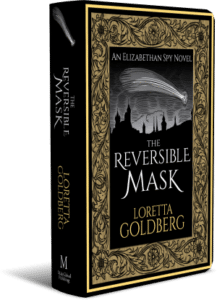 Thank you to author Loretta Goldberg for visiting us here at the Anne Boleyn Files today as part of the book tour for her debut book, an Elizabethan spy novel called The Reversible Mask which comes out on 3rd December. I have had a sneak peek at it and it’s a wonderful read. I loved the main character, Edward Latham, and the storyline gripped me throughout. Back in 2013, I was immersed in developing my tale of the tangled relationship between my main character, fictional Sir Edward Latham, and Edmund Campion. Both Catholic subjects of Elizabeth, they acted out their religious convictions in different ways. They met at the pivotal points in their lives, both in England and Europe, and their courses invariably diverged. 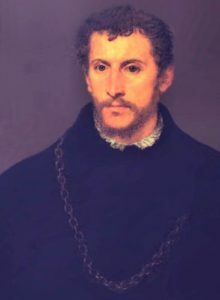 Late June and early July 1580 were important dates for Campion, for he landed in Dover on 25 June 1580, and within days began the Jesuit mission of conversion and public challenge to the Elizabethan government that led to his execution as a convicted traitor on 1 December 1581. He didn’t plot; he argued. Were his words opinion, incitement or treason? Son of a London bookseller and Catholic family, Edmund Campion was born on 24 January 1540. An intellectual prodigy, he gave an admired speech to Catholic Queen Mary in 1553 when he was just thirteen, He received a B.A. degree at Oxford in 1560 and took the Oath of Supremacy. Elizabeth was Queen by then, and England had become legally Protestant. Whatever Campion’s yearnings for Catholicism were, he took orders as a deacon in the Anglican Church sometime between 1564 and 1568 (sources differ on the year). In his proposition he amalgamated science, classical astronomy and mythology, couching his logic in the language of tribute. “The tides are caused by the moon’s motions. Further, the lower bodies of the universe are regulated by the higher, the highest of which, in the sublunary sphere, is the moon. At the peak of the sublunary sphere is the moon goddess, who therefore regulates the moon and all below.” Since Elizabeth was often called Cynthia, moon goddess, Campion was implying that his sovereign was a prime mover in the cosmos. Despite the custard-thick flattery and fanciful logic, his argument turned out to be impossible to dismantle. The first opponent argued that the lower bodies regulated the higher. He cited an ancient theory that the heavens were formed by distilling corrupt earth and water into the purer air and fire, which in turn improved the earth. “Meteors are expulsions of earth’s gross matter,” he stated. The next contestant proposed that as the higher and lower bodies never touched, it was not provable that they acted on each other. The final contestant argued that all the others were wrong. Citing Renaissance scholar Paracelsus, he said that the four humours governed mind, matter, and the firmament, not the moon. The moderator declared that no one had disproved Campion’s proposition that the tides were caused by the moon’s motions, therefore he won. He also won an impromptu Latin debate on “Fire” the next day. Both Leicester and Cecil offered him patronage. My fictional character, young courtier Sir Edward Latham, was at this performance. Unlike Campion, he knew his doctrinal convictions, and was finding it impossible to reconcile his faith with fidelity to a heretical state. With intellectuals like Campion becoming Protestantism, he saw no space for a covert Catholic like him. Latham decided to throw everything up—status, family and wealth—to serve Catholic monarchs abroad. They did not meet again for seven years. Latham spent those years spying for Catholic Spain against French Huguenots and the Dutch Protestant rebels. He avoided any direct action against England, but fought in one battle. Unsettling dreams about the scale of Catholic violence in Europe were beginning to plague him, but he was fixed in his doctrinal beliefs. Campion eventually rethought his Protestant allegiance, leaving Oxford in 1568 to be a scholar in Ireland. Suspected of Catholic sympathies in the aftermath of the 1569 Catholic rebellion against Elizabeth, he fled to Douai. He announced his conversion and took a Bachelor of Divinity degree granted by the University of Douai. The Campion Latham met in Douai was implacable. This was the man who wrote to his old mentor in England, Richard Cheney, Bishop of Gloucester, a compromising Catholic. “Wherein lies your hope?… Because of all heresiarchs you are the least crazy?… Because you are hospitable to your townspeople and to good men? Because you plunder not your palace and lands as your brethren do? Surely, these things will avail you if you return to the bosom of the Church…But now whilst you are a stranger and an enemy, while like a base deserter you fight under an alien flag, it is in vain to attempt to cover your crimes with the cloak of virtue. You shall gain nothing, except perhaps to be tortured somewhat less horribly in the everlasting fires than Judas or Luther or Zwinglius, or those antagonists of yours, Cooper, Humphrey and Samson…” He warned that after the Catholic reforms of the Council of Trent one must be altogether within the house of God. The tiniest deviation and a man was anathema. He wallowed in line after line of graphic depictions of hell’s tortures if Cheney didn’t convert. Of course, he went on at length because he was desperate to save a friend. But that care doesn’t lessen the feral quality of his spirituality. (Source: Richard Simpson Edmund Campion A Biography, Williams and Norgate, London1867, n p.363). Campion could have taught in Douai as he had at Oxford. He was charismatic and students loved him. But he wanted to be a Jesuit. The order’s founder, Ignatius Loyola, had said: if His Holiness names something black, which members of our society see as white, then they must, in like manner, term it black. This was the certainty Campion craved. Elizabeth had been excommunicated by a Papal Bull of 1570, which meant that any Catholic who killed her would be pardoned by the Vatican. With Catholic Mary, Queen of Scots in custody in England, English Catholics at home and abroad had an alternative. Elizabeth was popular, so it was hapless dreamers who became the activists. Still, her life was in danger. In this context, English missionary priests slipped back to perform mass, give absolution and make converts. Those few caught plotting were brutally executed. A new pope, Gregory XIII, tried to lower tensions with a new directive: Elizabeth’s subjects could live within the constrictions of their misguided government without fear of eternal damnation, until they received new directives. Rebellion wasn’t a present duty. Against this background, Jesuit Edmund Campion prepared to return, with the understanding that he would avoid challenging Elizabeth on her own land. To make sense of how he acted in England, it is worth considering the timeline of his stop in Geneva on the way. Geneva was the headquarters of Calvinist leader Theodore Beza. Campion, with a party of priests, had been promised the freedom of the city after an examination by a magistrate. After dinner on the first day, Campion and several Jesuit companions sought Beza out at home, saying that they wished to discuss doctrinal differences between Protestants and Puritans, since Elizabeth abhorred Puritans, whose doctrines seemed close to Beza’s Calvinism. Beza’s wife Candida answered the door. She was an object of curiosity and merriment to the priests, since they knew she’d been a Parisian tailor’s wife before running away with Beza. A grumpy Beza came down from his study and a discussion began. Campion’s goal was to drive a wedge between Beza and Elizabeth. When he began to expound the substantial contradictions between the Anglican hierarchical church and Calvinism, Beza signalled his wife to get him out of there. He sent students to meet the Jesuits. Discussions and dining went on until midnight. Then things escalated. Frustrated that Beza was eluding them, the Jesuits challenged him to debate any disputed point in public in front of neutral judges, with the condition that the loser would be burnt alive in public at the stake. Intellectual disputation was to morph into a debating dance of death. In my novel, Edward Latham, meets Campion in a quiet Calais cemetery, to give him money and contacts for his English mission. He was still serving Spain exclusively, his spymaster being Don Juan de Idiaquez, Secretary of State, though his doubts are growing. There was an additional complication. A Papal/Spanish expedition to support Irish Catholic rebels against Elizabeth was about to set sail. Philip wanted the Jesuits to keep a low profile. Latham expressed his disapproval of Campion’s blatancy in Geneva. He released Latham and leaned against the tree, laughing. “We had logic on our side. Tactics favoured us, too. If Beza refused our challenge, he’d be shamed in front of his students, a beaten dog slinking into shadow. 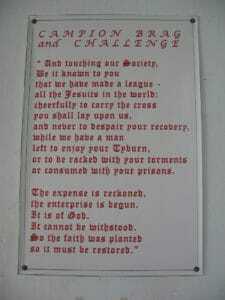 If he took the challenge and we won, smoke would have risen over Satan’s greatest ally since Luther! Elizabeth’s lustre tarnished, whatever the verdict. And if we lost, then we weren’t worthy messengers of God. He would have clasped three cleansed souls to His merciful bosom. “Look,” Campion said, suddenly sombre. “I’m a scared sinner like everyone else. I’d rather make converts on this side of the Channel; I did well in Prague. But my orders are to minister to the faithful and educate the willing in England, which is the Church’s greatest need. There’s been a generation of quiet under Elizabeth. As Catholics die, theology is forgotten. A nation slumbers unaware towards perdition. I must do what I can to turn its fate. Latham sighed. “Gregory’s neutral directive justifies my handing you the jewels and contacts. My task is done. But listen to what you’ve said. Think about how Elizabeth will interpret it. The Vatican’s not compromising; it’s playing for time. English Catholics shouldn’t rebel now, all passion and no plan. No. They should wait for orders, presumably given when missionary priests like you have converted enough of the nobility to papal allegiance to be able to defeat the government. It’s not whether to rebel, it’s when. You ask what the privy council could object to. Gregory aims to nurse opposition into viable life. That’s what they’ll object to. Your tautology is gossamer. Campion rebuffed this concern, warning Latham to look to his own soul, which he knew was beset by doubt. Latham’s last glimpse of Campion was his back, as he bent to pick wildflowers from a roadside ditch before strolling to the harbour to find a boat to Dover. The crux of their argument still bedevils us, particularly with the power of social media. Campion’s mission began quietly, but by September he’d written his famous “Brag,” titled Address to the Lords of the Privy Council. He sent his letter to Europe, where it was printed then smuggled back. It circulated privately but widely, bringing its author instant fame. He’d gone public. After explaining that his mission was to cry alarm spiritual against foul vice and proud ignorance besetting his co-nationals, Campion challenged the entire Elizabethan establishment. He demanded public debates on theology in front of the Lords in Council and the Heads of both Houses of Parliament, in which he would prove England had a faulty relationship between Church and State; at both Oxford and Cambridge Universities, where he promised to prove the truth of the Catholic faith; and in front of the Courts Spiritual and Temporal, where he would justify primary allegiance to Pope over Crown. He demanded an audience with Elizabeth, to correct her misguided beliefs. 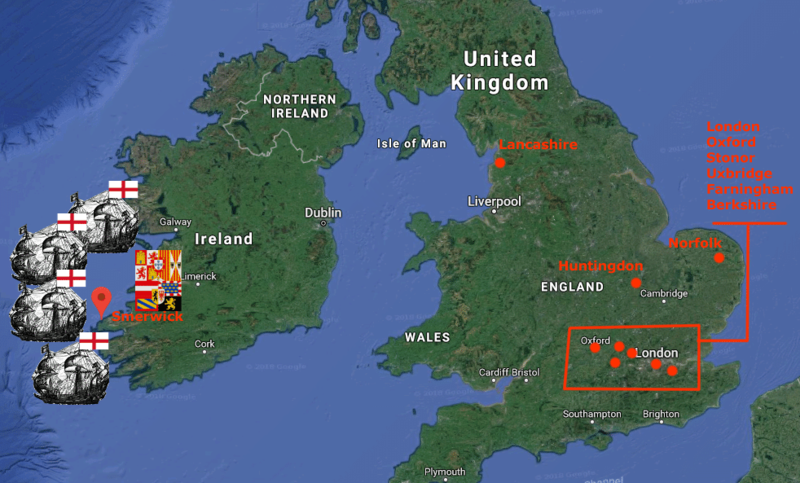 Campion justified primary allegiance to Rome, while a Papal/Spanish army of five to six hundred men had taken Smerwick, Irish territory ruled by England, and an English force of ships and men was trying to take it back. Privy councillors who had to counter Campion’s words were also repelling an invasion. Unable to find Campion, the English government rebutted the Brag with published counter-arguments that were quickly mocked by Catholics abroad. Still, Campion wasn’t preaching rebellion. He was demanding to argue doctrine to a conclusion. There were legal precedents for changing religious law after public debate; Elizabeth’s church had been created by Parliament after debates. Campion might have thought he’d found his legal loophole. But his radical intent was clear. Nine months later, he escalated. The second pamphlet’s title was Ten Reasons; ten proofs of Protestant heresy. It was secretly published in England. Campion arranged to put this tract on the seats of St Mary’s Hall, Oxford, before graduation ceremonies for four hundred degree recipients. Many of these graduates were going into government, due to take the Oath of Allegiance to Elizabeth, which they couldn’t do if they accepted Campion’s logic. After arguing that Protestant theology was self-contradictory, he insisted that Heaven couldn’t hold both Calvinist and Catholic monarchs. On top of the Brag’s ‘cry alarm spiritual against foul vice and proud ignorance’ besetting English citizens, he was implying that they were in danger of damnation. And by putting his tract in the hands of new graduates, he was demanding that they make choices he hadn’t been ready to make at their age. 27th June 1581, Campion came full circle: St. Mary’s Hall was where he’d debated as Elizabeth’s champion in 1566. At St. Mary’s Hall, he threw down his final gauntlet. The hunt for him intensified, and he was captured. Torture, trial and a traitor’s death followed. He got his debates, but as part of the interrogation and trial process, not public. The international response at the time was repugnance at Elizabethan cruelty, especially as Campion and his fellow infiltrators hadn’t fomented a current rebellion or plotted assassination. “You imbue your cause with viciousness,” English spy Anthony Standen wrote to Walsingham, adding that moderate Catholic foreign princes would have been keener on an alliance had English policies been milder. My fictional Edward Latham reacted in the opposite way. Campion’s implacability had shown him how truly dangerous Jesuit and Spanish activities were to his birth country and family. He decided to become a double agent from then on, and to use his spying for both sides to buttress the current balance of power. Campion was beatified in 1886 and canonised in 1970, four hundred years after Elizabeth’s excommunication. “This is a glorious novel! Rich in detail and atmosphere, jewel-like in its creation of Elizabethan England, it’s the best kind of historical fiction, transporting readers to a captivating time and place and story. Goldberg does a magnificent job of conveying the intrigue, passion and sometimes sheer sumptuousness of Elizabeth – I’s court and politics. I loved it.” – Jeanne Mackin, award winning author. “Goldberg has created a richly detailed world, brought to life with a brilliant cast of engaging characters. The Reversible Mask is a true delight.” – Adrienne Dillard, author of Cor Rotto. Click here to find out more about Loretta’s book or to pre-order it as a kindle or paperback. It can be read for free if you have Kindle Unlimited. The Historical Novel Society New York Chapter are holding a book launch event on 18th December for The Reversible Mask. It’s in the Willa Cather Community Room at Jefferson Markey Library, 425 Ave of the Americas at 10th St, New York, at 6-8pm, and is free and open to the public. There will be a reading, a slideshow, a Q&A, and refreshments. Falling Pomegranate Seeds – A Katherine of Aragon novel is available now! « 25% off The Life of Anne Boleyn course, The Six Wives of Henry VIII course, and more! 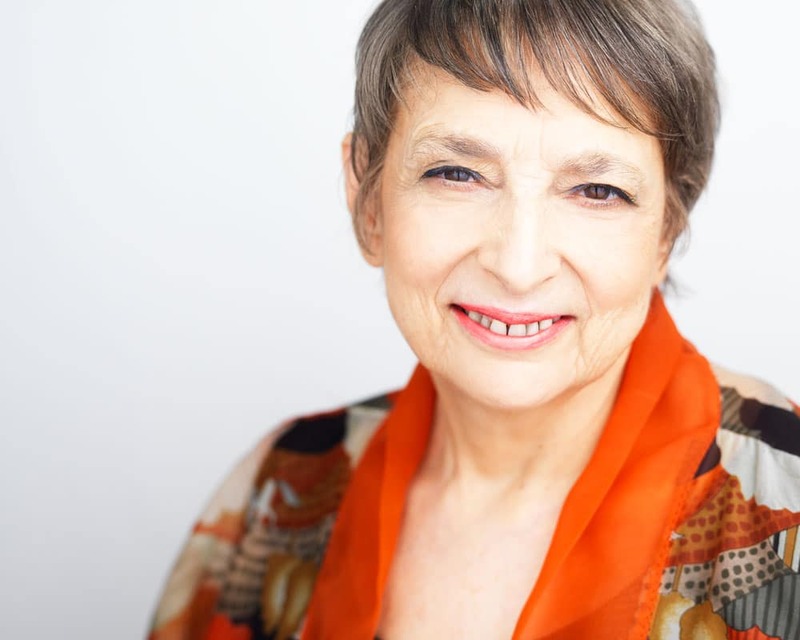 Firstly, congratulations on your new book, Loretta, hope you have a lot of success with it. Looking forward to reading it. Saint Edmund Campion was one of the most brilliant minds of his day. He out debated and out smarted the entire Elizabethan establishment. It repaid his brilliance by continuing to hound him, hunt him, persecuting his students and friends, fellow Catholics, noble and poor and by putting him in a tiny cell called Little Ease, torturing him over and over on the rack, before hanging him while still alive, cutting him down, drawing out his bowels while still alive, cutting out his organs and then his heart before beheading him. His body was then divided into four parts and set upon spikes. All for speaking the truth. Of course his words were not treason and before Henry Viii broke from Rome and Elizabeth continued as Supreme Governor of the Church of England (as if one change in one word made any difference) with even more claim to authority than her father. Words became treason, not merely actions and plotting to take down the Crown. Henry started the trend of arresting people for speaking against his marriage, titles, his Supremacy, his theological ideas, his reforms, anything that criticised his Government and his kids continued it, under the various Treason Acts from 1534_onwards. Now words were treason, England a police state and Edmund Campion became the number one enemy of the State in a country ruled by paranoia. Saint Edmund Campion was recognised by the Catholic Church as a true martyr and scholar and canonized. His life and works have been published a number of times with the most recent version being released in modern paperback this year. Come Rack, Come Rope brings Catholic England under Elizabeth to life and the book by Jessie Childs is worth a read. 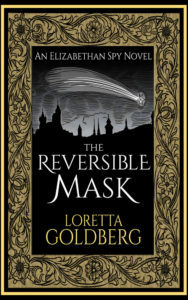 Loretta Goldberg’s Book, The Reversible Mask sound very interesting and that it brings the ordinary Catholics and their dilemmas to life. I can’t wait to read it. As someone descended from a long line of English recusants I share your views on St Edmund Campion. And I must read Loretta’s book. I have already read God’s Traitors which is excellent, have yet to read Come Rack, Come Rope. Thanks, Jane, it was a frightening time for the families involved, practically bankrupted by fines and having to live as if they conformed but with hiding places and alters hidden away in an upper room, false panels in the walls of their homes, spies in the community, the Queen’s men practically camping in their homes for days looking for the poor priest who lived in a crawl space, silent and with very little to eat or drink and little air or room, again for a number of days while men tore the house apart for days. Chilling stuff and I am really glad I live now, although I would have been honoured to have met Father Campion. I am Protestant but I have a very high regard for those priests who put their lives in danger to do what they knew in their hearts was right. The early reformers must be rolling over in their graves now that Catholic and Protestant can be friends. Either that or happy and amazed for the same reason. I agree with you BQ, I too would be honored to meet Father Campiion. Hi Jane, do you have letters or other memorabilia from your recusant ancestors? My main character, Edward Latham, is genuinely conflicted between fidelity to his sovereign and Catholic faith. As counterweight, important people in his life like his sworn oath brother, a Spanish sergeant major, is much more relaxed about challenges to traditional Catholic cosmology, like Copernicus. Hi Loretta, I am afraid not, much has been lost and is only word of mouth come down through the generations. As Bandit Queen has pointed out, like many Catholic families they were ruined by the fines but did at least manage to keep all their heads and organs in place during Elizabethan times. I understand that the worst and most dangerous time came during the time of the horrible Oliver Cromwell (someone please remove that statue from Parliament Square!) and the Puritan ascendancy when some of them at least had to flee abroad. And that is why (sorry to all my American friends) I have to have an ironic chuckle at the Pilgrim Fathers – fleeing religious intolerance and then their co-religionists later doing even worse. I am so happy to live in a country and and a time where we can have different opinions on religion and government and no one is punished. Hi Michael, yes, I am too. In my days as a substitute organist in NYC I got to experience most denominations, and the notion that any were criminal sends shivers down my spine, which was the lure of writing this tale. Hi Jane. As an American I want to say you have nothing to apologise for. You’re right, those who came over here from England because of religious intolerance were quite intolerant of others who didn’t agree with them. Because of that when our Bill of Rights was drawn up Article 1 is freedom of worship, speech and press. This keeps the federal government out of people’s business but it does not deal with the intolerance of individuals. This religious bigotry goes well into modern times. When John Kennedy ran for the Presidency in 1960 there were many who were afraid he was a papist and that our country would be governed from Rome (sound familiar?). This was nonsense of course and no such thing happened. Thanks to our Bill of Rights and Constitution a Catholic was able to run for the highest office in the land and win in a country that was majority Protestant at the time. I’m very proud of that. The new monster under the bed over here is Islam ad I’m sure you’ve heard. Same arguments, still nonsense. The problem is with us human beings. We crave conformity and anything different is shunned. If we can grow out of that we’ll all be better for it. Hi Michael, Jane, Bandit Queen, yes to the anti-Catholc anti-Irish bias in the US where bars, what the English call pubs, and small businesses had signs that said Help Wanted; Irish need not apply! Prejudice is universal. When I grew up in Australia it was the terror of the Yellow Peril, and anti-Italians. In the Connecticut town of Branford, where we lived for a bit, the patrons of the Irish bar, Tommy Sullivan’s would never go to La Luna! They were both good places. As a Jew, I was accused at primary school pf killing Jesus. There are 2 chapters in my novel where my Catholic spy is in Constantinople, experiencing sixteenth century Islamic rule which U might find intriguing. Hi Michael, Hi Jane, yes it’s totally ridiculous even now that smaller mindset people than ourselves on sensible forums like this (and if we misbehave Claire has a huge broom to hit us with and restore respect and order, lol, and Claire, I am joking) come out with nonsense about the world being controlled from Rome, especially as the papacy has not had such power for almost 200 years. You may recall a preacher by the name of Ian Paisley and the other menace Sean MacGuinus from Sinn Fein, who continued to spout hatred long after the Good Friday Agreement 1998. This in the only part of the United Kingdom and Northern Ireland which by law says you can’t discriminate on religious grounds. There are still sites online which preach about the Jesuits taking over and every important person in American history being involved in some kind of weird quasi religious world take over conspiracy, usually to do with banks and sinking the Titanic. Totally nuts, totally a minority view, but very loud and persuasive. I fully appreciate how you feel, Jane, the 1960s in particular saw religious and racial hatred and violence and there are people here as well who want to revive such nonsense. The sixteenth century and seventeenth century may have found reasons for intolerance but societies are much larger now and less static or status based and much more diverse. There is just about everything you can think of that people claim to believe in. We are now much more aware of others and we have no excuse for raising any kind of paranoia. Islam has become the target for everything wrong just as Catholics and reformers were 500 years ago. Yes, Islamic terrorism is very real and it is dangerous, but does that represent the majority or a small, dangerous and radical minority? The majority of Muslims just want to get on with their lives. I don’t know how old the Islamic community in America is but in Britain many came with Windrush and others have been here since the Middle Ages. 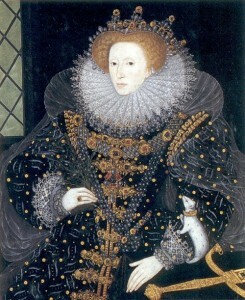 Elizabeth I had full diplomatic contact with Persia (Iran) which by then was ruled by the Ottoman Empire and had taken over India and the Asian SubContinent. Western contact dates back to Charlemagne in a diplomatic sense and to the seventh century in France and Spain where large areas were under Muslim rule. Our contact in the Middle East is historically unfortunately often centred around the Crusaders but not exclusively as trade went on regardless. The Venetian governments and the Byzantine Empire traded and exchanged ideas with the Muslims from the start. The exchange of ideas and translated books came from Islamic schools working with the scholars from the West and that included English scholars. In Spain they left a rich legacy in the architecture and heritage. Hatred of Muslims is as dangerous as the people who let of bombs. Hatred and fear of Catholics led to the Gunpowder Plot. That led to more persecution and on it goes, until someone said enough. Ironically it was a hardnosed Protestant commander and political leader, the Duke of Wellington, who saw sense, especially when faced with a newly elected Catholic leader in Ireland and forced Parliament to pass the Catholic Emancipation Act in 1829. The problem is the moment you tell people that they are free, they quite rightly grab that freedom with both hands and Catholics as every other groups who have suddenly found a lawful voice insisted on their rights, much to the annoyance of a hard minority who still appear to have a hard time with acceptance and enjoy raising hatred against others trying to integrate. If it’s not Muslims it’s immigration or Eastern Europe or someone else. We have moved on from most of the state sponsorship of persecution but we have a long way to go as human communities. Sorry, I am rambling again. Jane, it was very interesting learning you are from an old English Rescant family, you must have some fantastic stories which have been passed down. I would quite happily volunteer to remove Oliver Cromwell from Parliament square and his statue in Chester as well by the bridge into the city. I wouldn’t mind removing Richard the Lionheart from outside Parliament either, especially as he spent less than six months here as King, probably couldn’t speak English, although to be fair he didn’t need to and it was Anglo Saxon then, taxed every noble and knightly family and cleric going to fund his Crusade and thought more of his premier lands in France than England. I would personally put up Simon de Montfort and Eleanor, Silvia and Christabel Pankhurst in his place. At least they had something to do with Parliament and democracy. Also, what you say about our Pilgrim Fathers and others escaping persecution and intolerance is true. While many did good work in America, unfortunately they took their fears with them and turned on their neighbours and local population as a result. Perhaps we are just crazy. It’s a very sad comment on us as human beings that anyone with different ideas or new ideas and we completely go potty and attack them. My opinions divided over Oliver Cromwell I cannot make up my mind wether he was a hero or a traitor, I watched Richard Harris in the film ‘Cromwell’ and I thought it was brilliant but I knew it ended with the death of Charles 11 and that bit I dislike about that man, a good soldier and highly intelligent he did alter the structure of parliament which is what we have today but it was achieved over the bloody corpse of a crowned king.